Below some of our activities for children, Sept. 2018 - Feb. 2019. 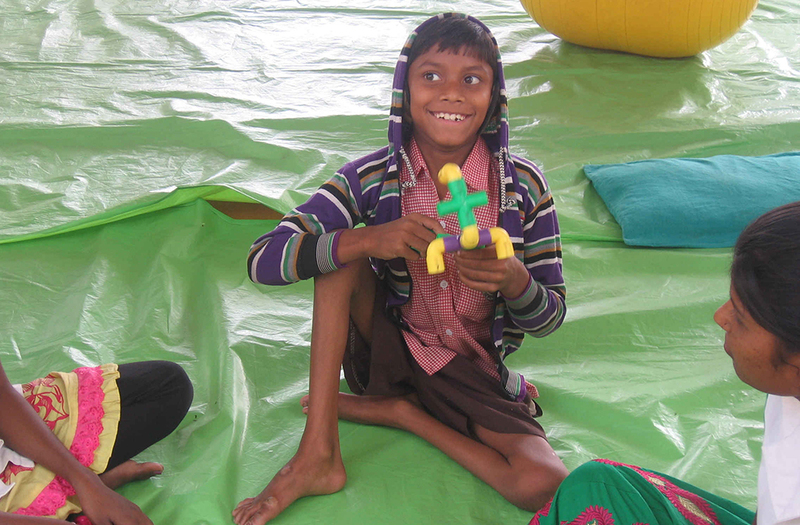 Below a slideshow of our children with cerebral palsy playing with donated toys, in December 2016 during the weekly treatment program. For more information about Abha Seva Sadan Multitherapy Charitable Health Centre and how you can help and participate in this service project, please contact us by email at rural-health@amurt.net or by phone at +91-99343-06890 (Dada Devashuddhananda).